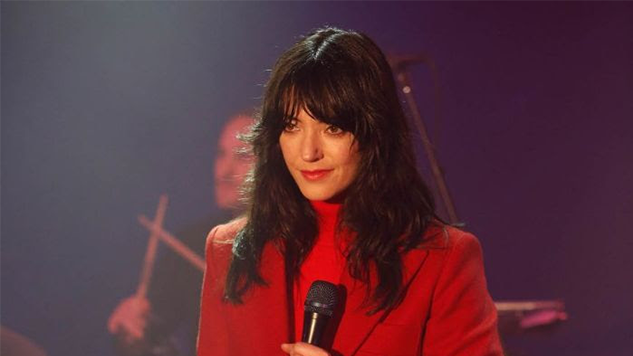 No one does longing quite like Sharon Van Etten. The singer-songwriter appeared on Jimmy Kimmel Live! Wednesday night in the lead-up to the release of her album Remind Me Tomorrow on Jan. 18. Van Etten hurtled through her latest singles “You Shadow” and “Seventeen” with unrivaled raw emotion, wailing ferociously. She came across clearly as an artist in her prime, from her effortless stage presence down to her red power suit. It’s a riveting first television appearance in support of the forthcoming record, which already garnered an impressive 8.7 rating from Paste’s own Ellen Johnson. Take a moment to enjoy Van Etten’s Jimmy Kimmel Live! performances below, revisit our 2011 interview with the artist further down and explore her tour dates here.